Let me know what your usernames are so I can check out your pictures too :) I love looking at photos! Haha, my life also lacks the excitement. Great pics though. 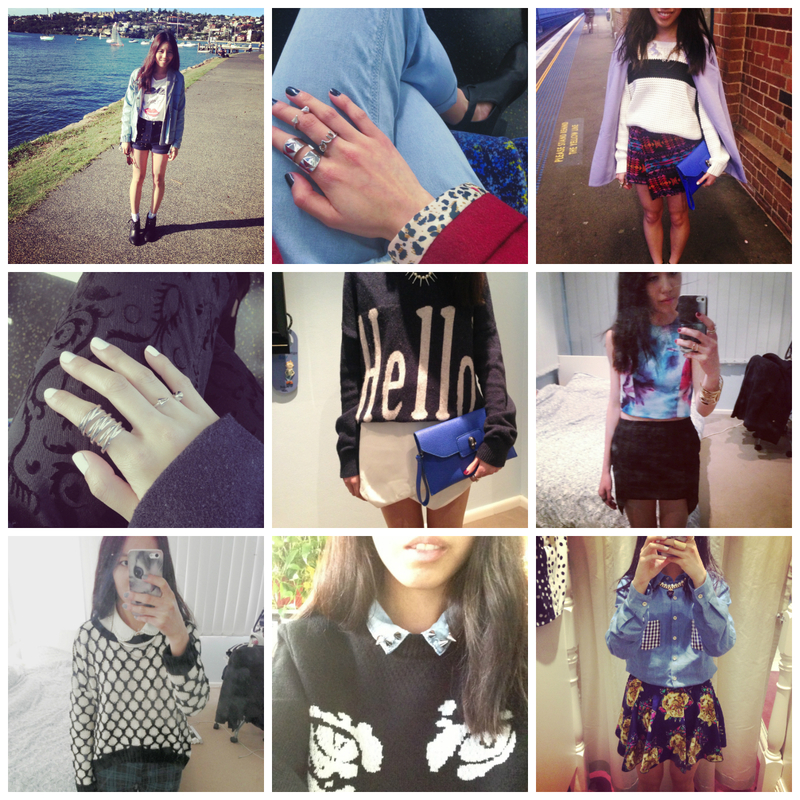 I love IG round ups :) Love your outfits! great photo! you have such a lovely blog! I love your hand art :-P I mean the rings..
All of them are just gorgeous! !